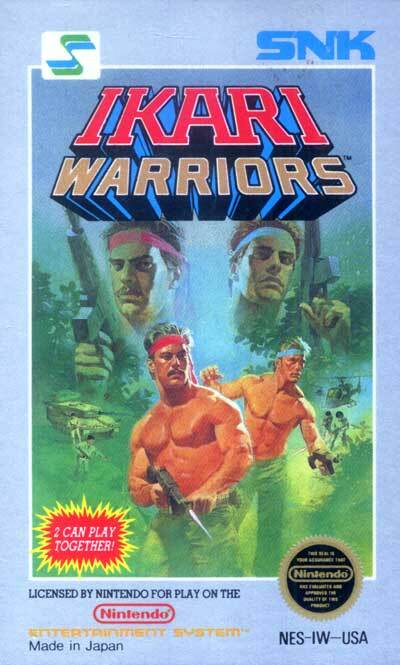 The player begins as one of two commando-type warriors, garbed in red (Ralf) or blue (Clark) (depending on whether they are player one or two). They must proceed from the bottom of the screen upwards, towards the village of Ikari. Trying to prevent them from reaching the village are enemy soldiers and other units with a frightening arsenal of firepower. Along the way, players may commandeer enemy tanks to help fight their way through the enemy personnel. The tanks are immune to enemy bullets, but have a limited supply of fuel and will sustain damage when it runs out or the tank is caught in an explosion, taking the player with it unless he can exit the tank and get clear before it blows up.